Russia sentences Jehovah’s Witness to six years for extremism - SABC News - Breaking news, special reports, world, business, sport coverage of all South African current events. Africa's news leader. Armed FSB officers detained Danish citizen Dennis Christensen in the southern Russian city of Oryol in May 2017, shortly after Moscow banned what it said was an extremist organisation. A Russian court on Wednesday sentenced a Jehovah’s Witness to six years in prison for “extremism,” in the first conviction of its kind since a 2017 law that outlawed the religious group. 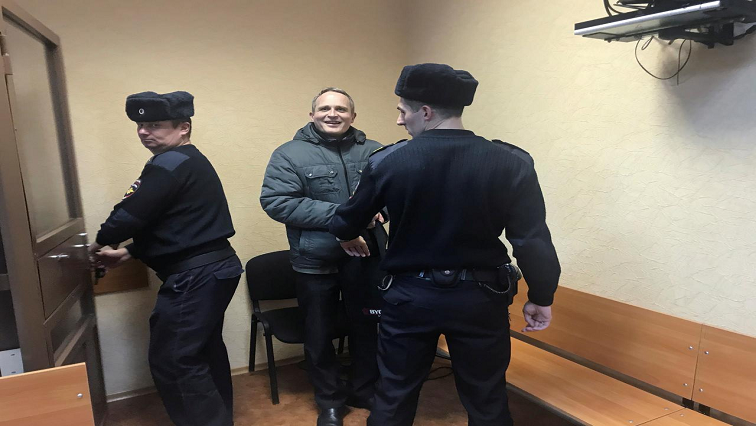 “We deeply regret the conviction of Dennis Christensen, an innocent man who did not commit any real crime,” said Yaroslav Sivulskiy, a spokesperson for the Jehovah’s Witnesses in Russia who was in court. “It is sad that reading the Bible, preaching, and living a moral way of life is again a criminal offence in Russia,” he added. “I hope that today is the day that Russia defends freedom of religion,” he told journalists as he entered the packed courtroom on Wednesday. Rights groups have condemned the trial; with Amnesty International saying it was “emblematic of the grave human rights violations” taking place in Russia. Danish Foreign Minister Anders Samuelsen said he was “deeply concerned” by the sentencing. “Again call on Russia to respect freedom of religion. Danish MFA will continue to follow closely and assist Dennis Christensen should he decide to appeal,” Samuelsen wrote on Twitter. Authorities in 2017 amended an existing anti-extremism law to mention Jehovah’s Witnesses specifically, ordering their dissolution in Russia. Since then there has been an intensifying crackdown on believers, with around 90 criminal trials now pending in dozens of regions of Russia, according to the group. More than 20 properties belonging to the organisation or its members have been confiscated by law enforcement, its head office said. The 33-year-old leader of the Jehovah’s Witness organisation in Ivanovo, a city northeast of Moscow, was arrested last week on extremism charges, Russian media reported. The Jehovah’s Witnesses say they number more than 170 000 in Russia, a country of 144 million people where most are Orthodox Christians. Thousands more of their members have fled abroad. Members of the group, a movement that began in the United States in the 19th century, consider modern churches to have deviated from the Bible’s true teachings. They reject modern evolutionary theory and refuse blood transfusions. In a 2018 report, Human Rights Watch accused the Russian authorities of a “sweeping campaign” of harassment and persecution against the movement. This entry was posted on 06 Feb 2019,02:30PM at 2:30 PM and is filed under World. You can follow any responses to this entry through the RSS 2.0 feed. Both comments and pings are currently closed.